Boiler servicing Southampton is something which more people should look into. Whether you’re a landlord or a tenant, if something goes wrong with your boiler it can be a matter of health and safety. Because of this, we highly encourage that you get your boiler serviced regularly. Not only will it make sure that there is nothing wrong with your boiler, but a boiler servicing in Southampton could prevent you from having to pay for expensive repairs due to the damage a faulty boiler has caused. If you think that it’s time for a Southampton boiling servicing, get in touch with us today, and we’ll arrange a time which best suits your schedule. As we mentioned above, Southampton boiler servicing is incredibly important. There are two main reasons for this. First of all, if anything goes wrong with your boiler, you and anyone else living in your home could be put at risk. 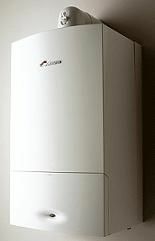 If your boiler is faulty, you should look to have it fixed as soon as possible. Secondly, you rely on your boiler more than you might think. If something happened to your boiler, you wouldn’t have any hot water, and for some, your heating system may not work. Some people may be able to get by without these things although the majority of us require both of them. Aside from our boiler servicing Southampton service, one of the other services which we take pride in being able to install is our AutoStopcock service. With an AutoStopcock, if a water pipe on your property should get damaged and begin to leak, you can prevent your property from getting incredibly damaged and will save yourself thousands of pounds. Nowadays there are so many different types of boilers out there so when it comes to boiler servicing in Southampton, every job that we take on can be different. Because of that, it’s difficult for us to set a specific price for the work that we do. Once you get in touch with us, we’ll ask you some basic information about your boiler and afterwards, will give you a price based on what you’ve told us. Below we have put some of the key reasons as to why you should choose us for your boiler servicing Southampton. Get a free quote from one of our highly trained and qualified engineers. Every job is different and so the requirements and prices which we provide must be determined beforehand. We have been providing boiler servicing in Southampton for years and this is one of the services that we have become known for providing. All of our services are provided at the high standard which our customers have come to expect of us. Aside from boiler servicing Southampton, we also offer a wide range of other heating-related service. Above all, we care. Boilers play an important part in a household, and if you haven’t had yours serviced in a while, it’s time to get it done now. “I cannot tell you how relieved we were to have our heating and hot water problems not only remedied but now working better than ever before. The service was efficient, helpful and the bill was also very reasonable! If you are interested in a boiler service in Southampton, give us a call today. Regardless of whether you’d like to find out what we can do for you or if you’d like to discuss your options, we’re happy to help. Call us up on 02380 775666 or send us an email at info@combi-nationheating.co.uk. It’s our goal to help you as much as we can and when you contact us.